The homeopathic method of treatment was developed by Samuel Christian Frederick Hahnemann while studying medicine in Leipzig in 1789. Hahnemann and his followers claimed that a substance capable of producing certain symptoms will also remove like symptoms produced by disease. 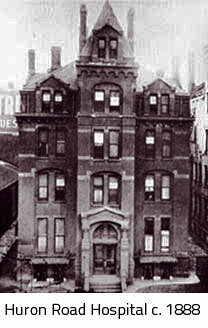 Learn more about the history of homeopathy. 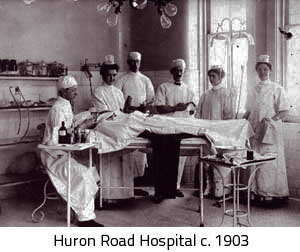 Homeopathic Hospitals Huron Road Hospital – includes two published histories of Huron Road. This collection is housed in the James Carl Cannon papers and includes articles of incorporation, fiscal records, minutes of meetings of stock holders and Board members, real estate and building information.